On November 21st, city council approved our proposal for the South end of the Miracle Mile Shopping Center in Rochester, MN. 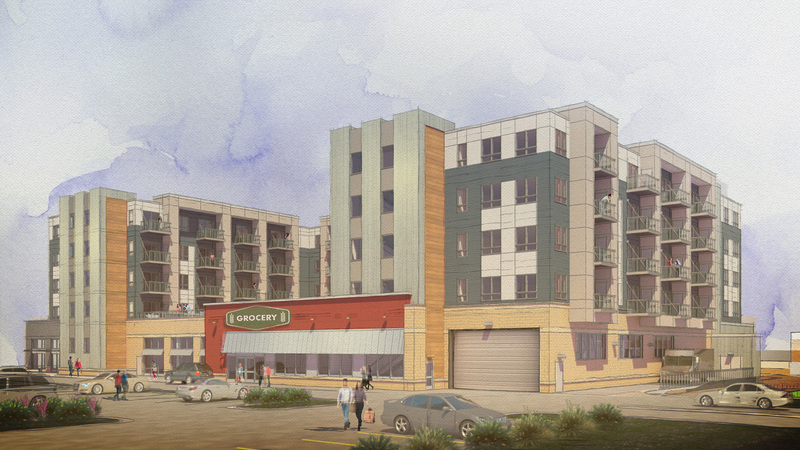 The mixed-use, five-story complex will feature a 30,000 square-foot grocery store and a coffee shop with 107 apartment units above. KWA would like to congratulate the Miracle Mile Development team and WSB & Associates for their amazing efforts thus far, and we are excited to see this project fully realized. Great work team!